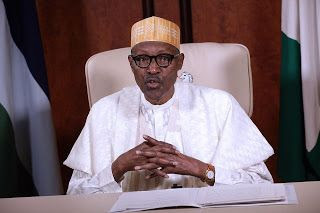 President Muhammadu Buhari has called on African leaders to speak ‘with one voice’ without foreign influence in order to tackle the problems of poverty and violence on the continent. According to a statement sent to reporter by Buhari’s aide, Mr. Garba Shehu, President Buhari said this would help to achieve economic integration, development, peace, and security in Africa. The statement reported that President Buhari stated this yesterday night at a bilateral meeting with President Alpha Conde of Guinea in Istanbul, Turkey. Buhari stressed the need for African leaders to learn from history to effectively tackle conflicts, violent extremism, and proliferation of small arms and light weapons. The statement added: “The two Presidents, who met on the margins of the ninth D-8 Summit in Istanbul, exchanged views on bilateral relations, as well as regional and international issues of mutual interest. “President Buhari assured his Guinean counterpart, who is also the current Chairman of African Union that Nigeria would continue to strengthen its engagement with all AU member-states to address the security challenges in restive areas such as South Sudan and Libya, and the political crisis in Togo. “In his remarks, President Conde commended Nigeria’s leadership role on the continent, particularly President Buhari’s anti-corruption drive and his strong voice on African issues at the international stage.